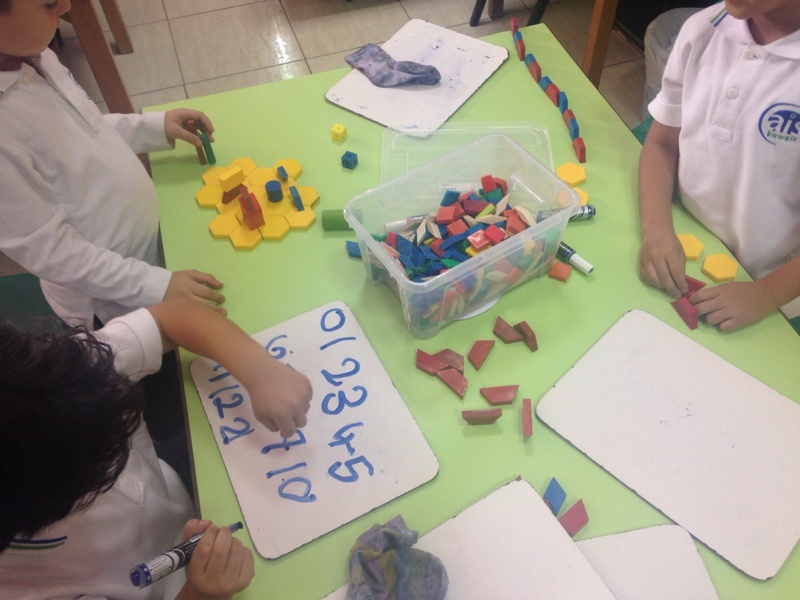 At our school, we strongly believe in the benefits of inquiry, exploration and play based learning – for all of our students, but especially our youngest students in KG (kindergarten). 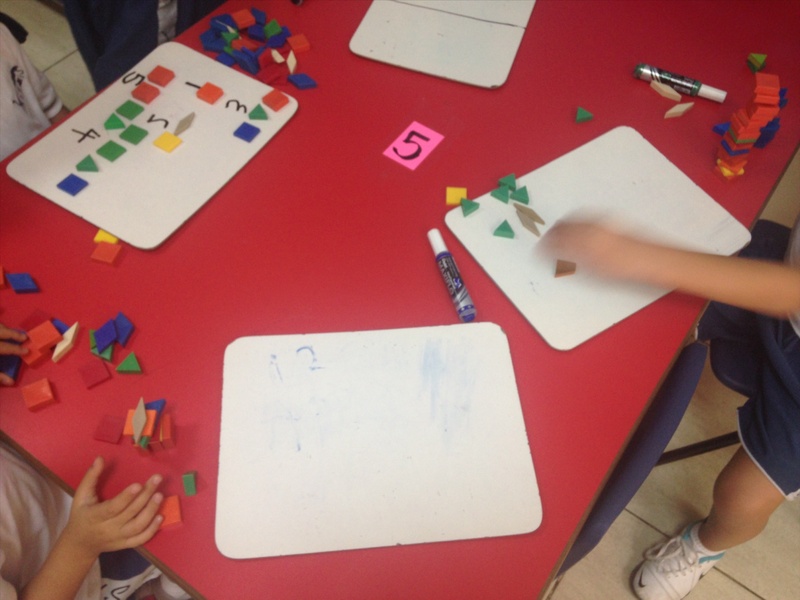 One of the best strategies our teachers implement are open-ended math centers. 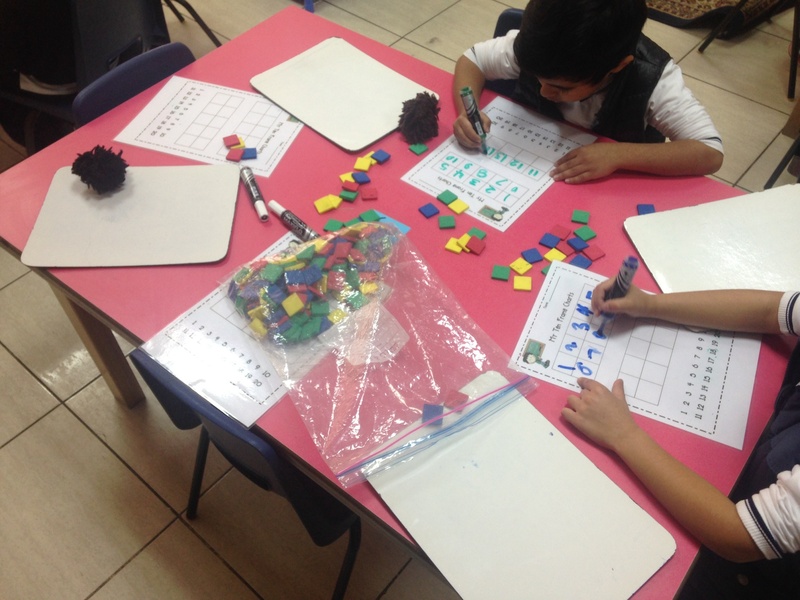 open-ended math centers allow teachers to observe and collect assessment data in a non-threatening, non-stressful environment. 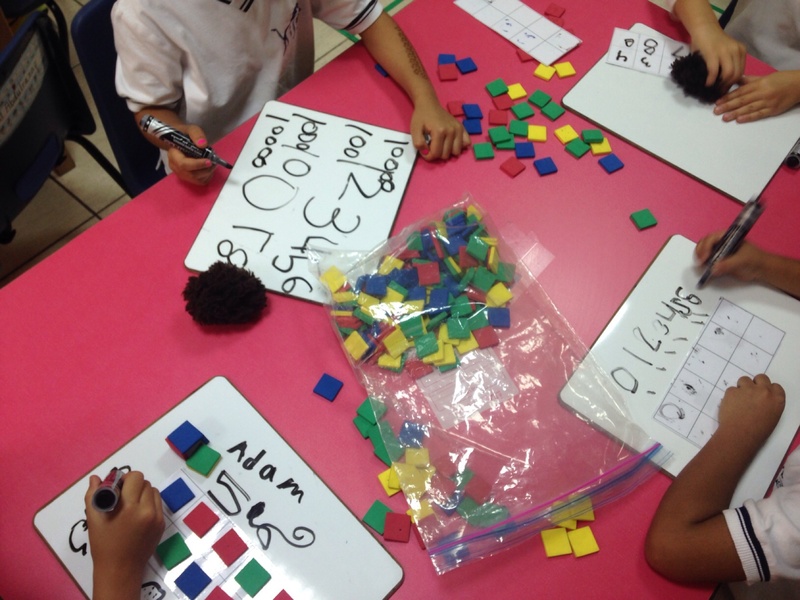 Take a look at some of our open-ended math centers in action. What do you notice? 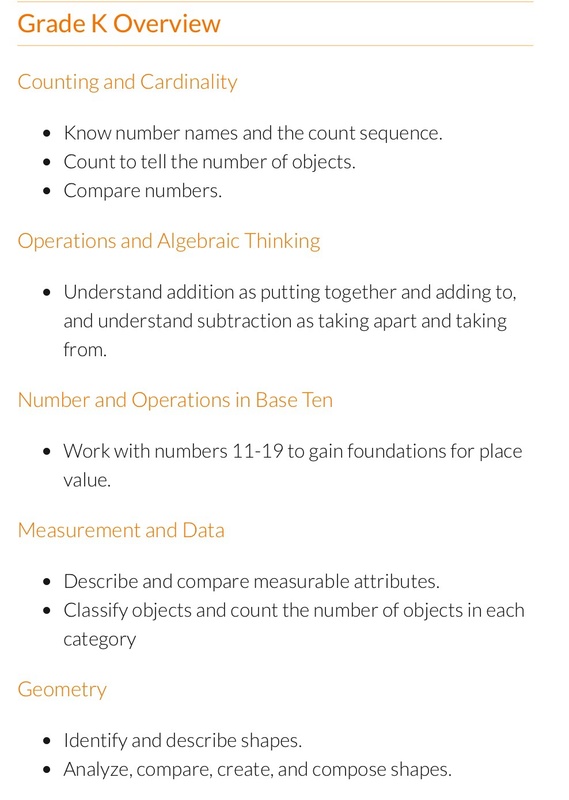 How many of the following Common Core State Standards for Kindergarten Math are being explored? 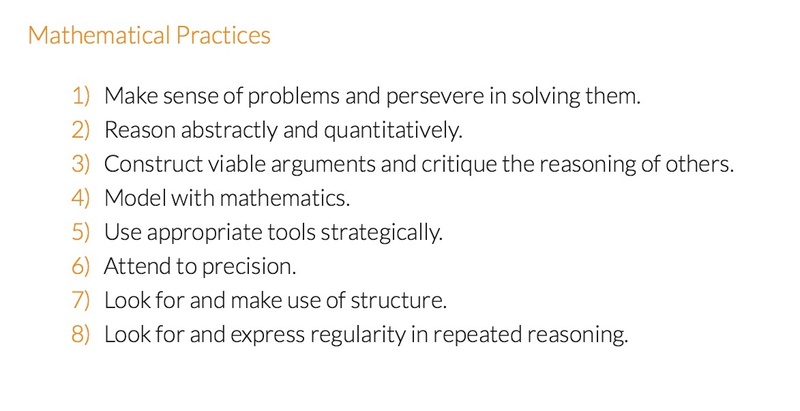 How many of these Common Core State Standard Mathematical Practices are being developed? 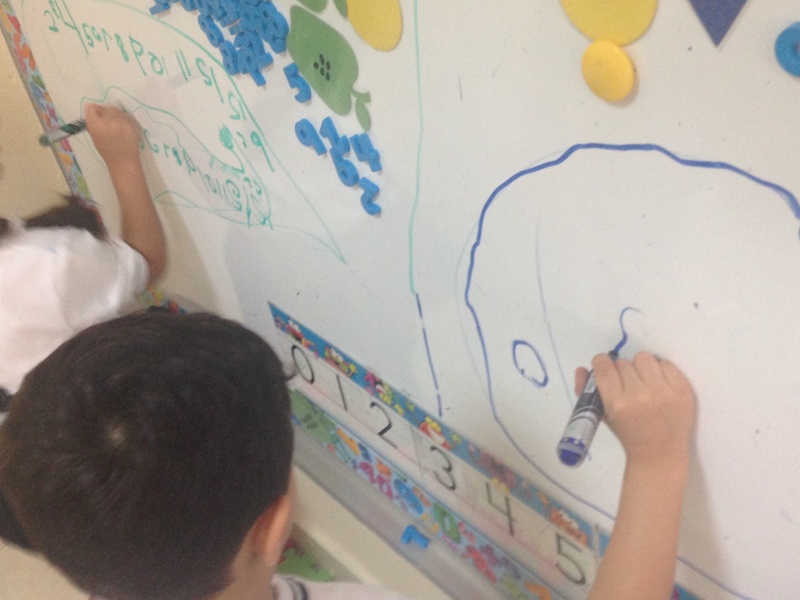 Dot cards (p.34 guide for effective in kindergarten) white boards markers, pencils white boards How many dots are there? 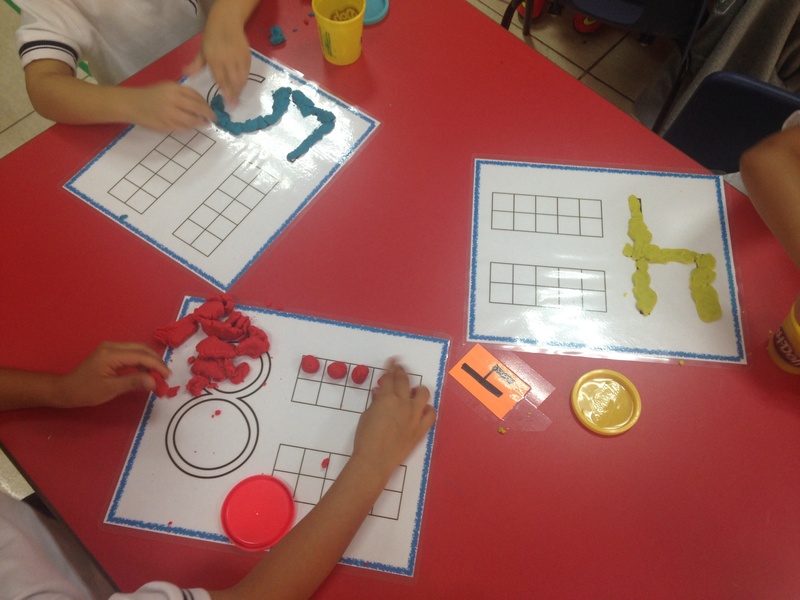 number cards playdo How do the numbers look different? How do they look different? 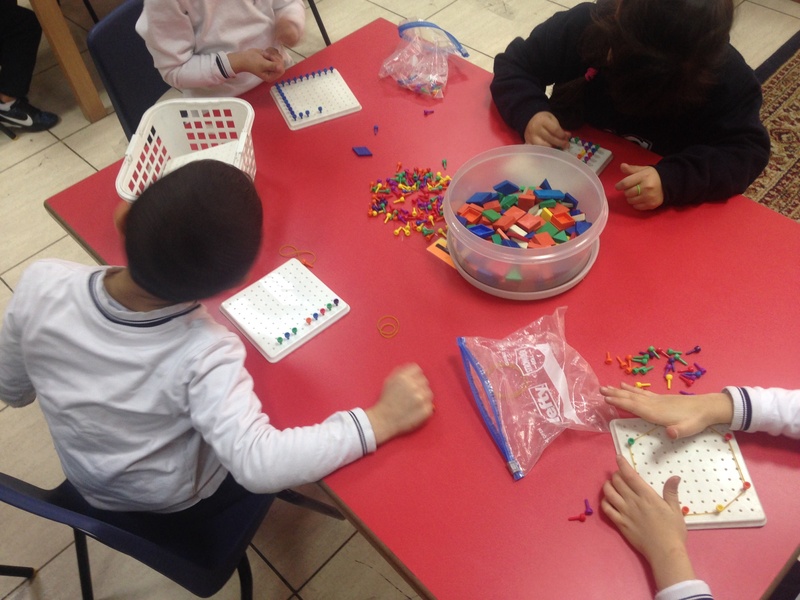 We are always growing in our own understanding of math centers and play-based learning, so we would love your feedback about our open-ended math centres. 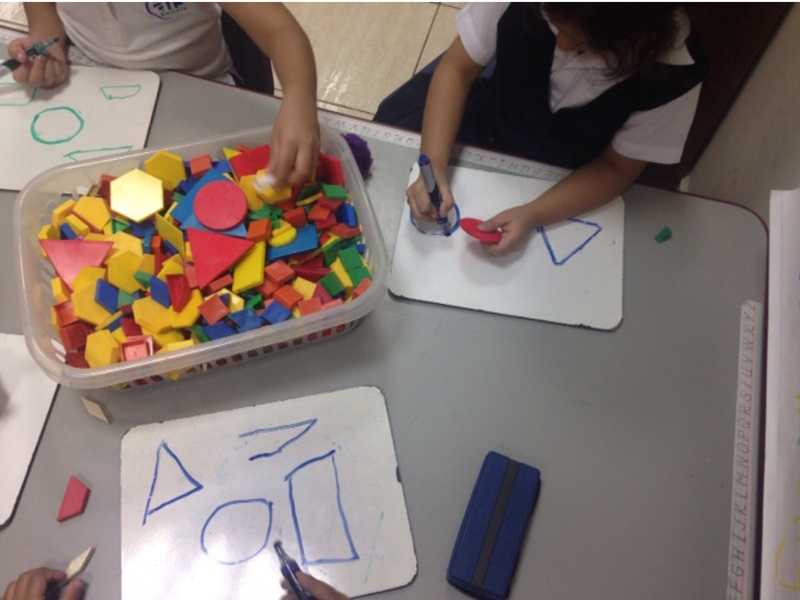 We would also love to hear about and see what early math learning looks like in your classroom! 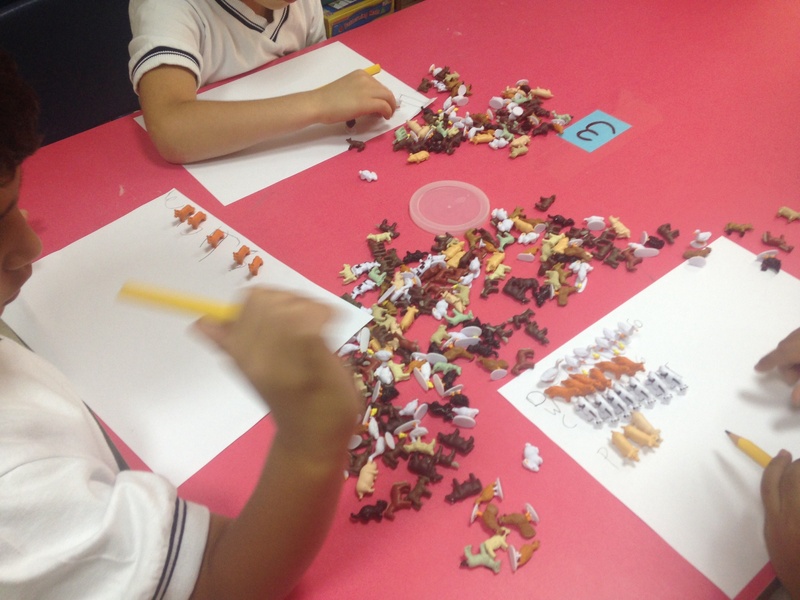 Previous Article What’s wrong with worksheets? Next Article Goodbye clip charts. Hello individualized behaviour plans. 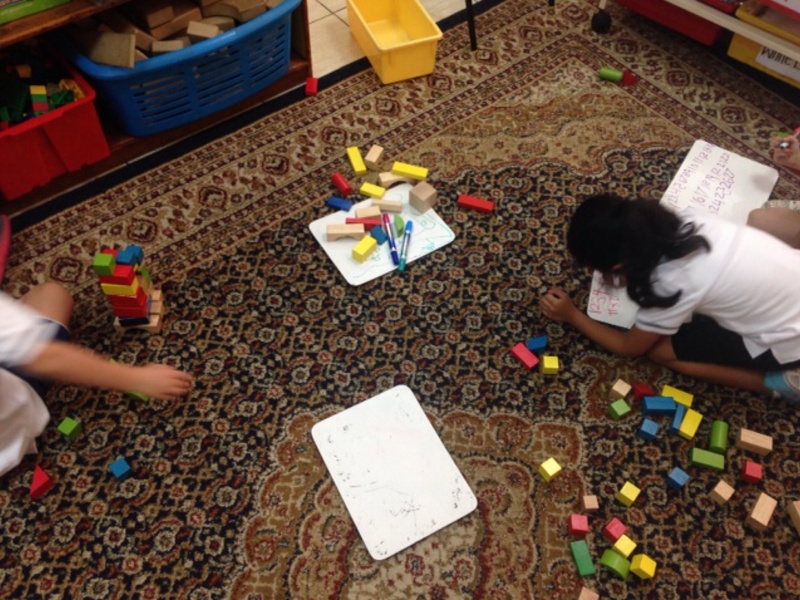 This is fantastic – our MYP 1 classes have just started doing math centres! I will forward them this post to see if they can’t draw some inspiration from how open these centres are. If you find anything interesting in your inquiry please share. I’d love to learn more about open-ended centres in upper grades! I really like this idea! I’m already thinking about how I can use this with a range of different manipulatives. 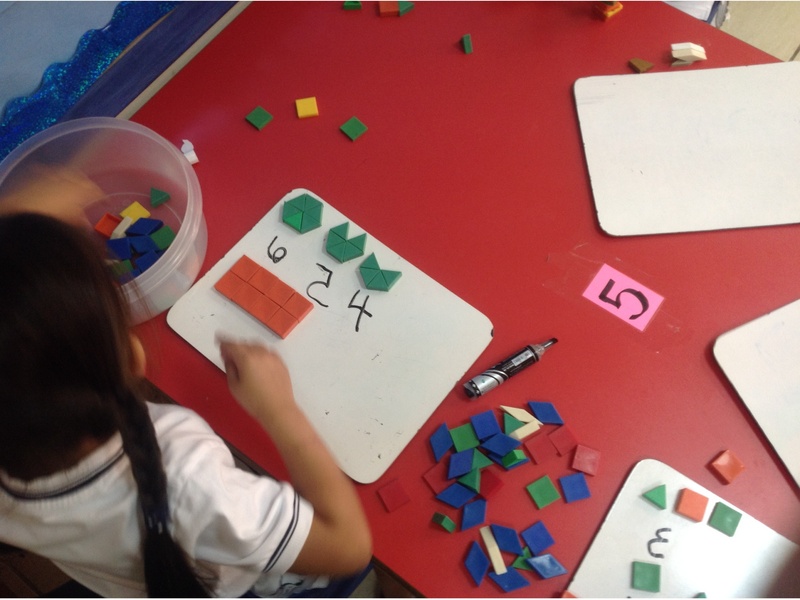 Do you give the students any instructions when they get the box of resources or any guiding questions, or is it purely mathematical play at the start? Glad it’s helpful! 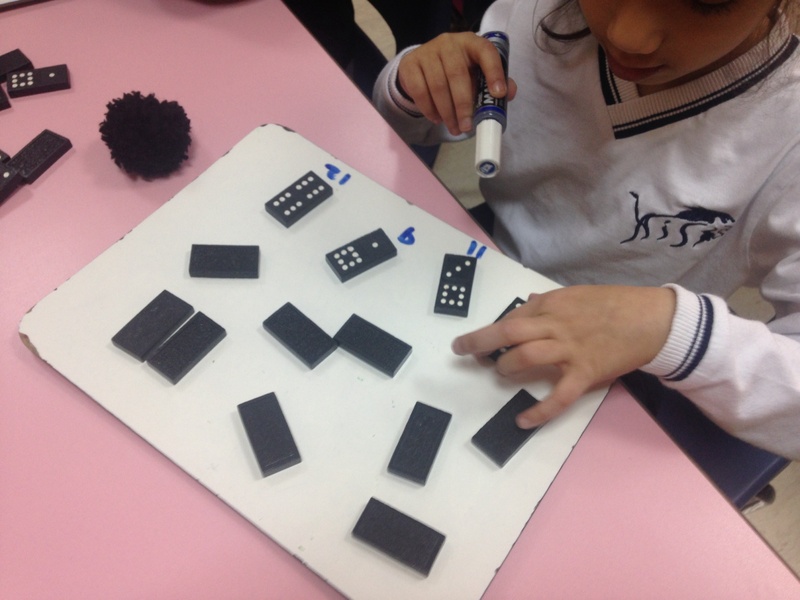 I usually purely mathematical play, often followed by a more open-ended “what do you notice”, then follow that with some more guided inquiry.